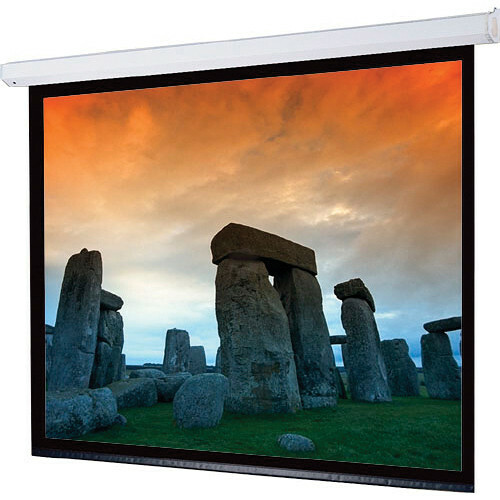 The 120V 116180QL Targa 84 x 84" Motorized Screen with Low Voltage Controller and Quiet Motor from Draper supports both ceiling and wall mounting. It is suitable for auditoriums and lecture halls, hospitals, hotels, churches, boardrooms, and conference rooms. The motor is mounted inside the roller, for a trim and balanced appearance. Its pentagonal steel case is scratch-resistant, featuring a white polyester finish with matching endcaps. Box Dimensions (LxWxH) 105.0 x 11.0 x 11.0"